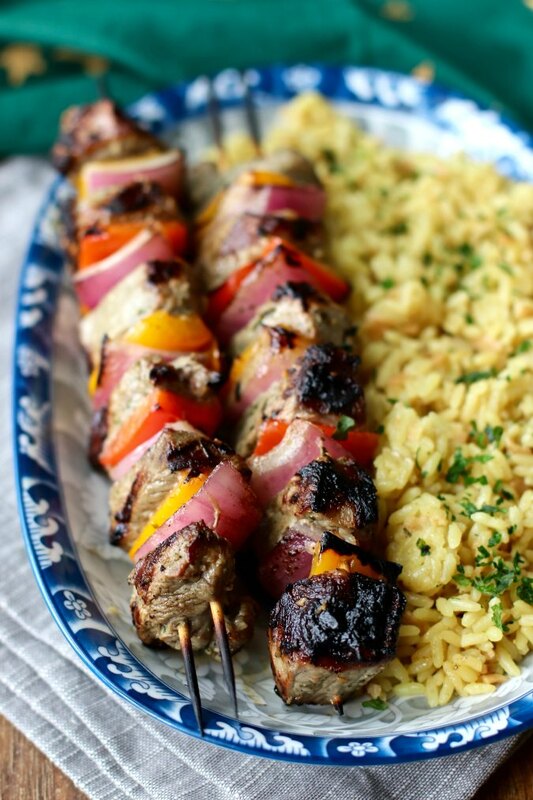 These grilled Shish Kebabs are marinated with Rosemary, Mint, Garlic, and Lemon and then finished with a garlic and Parmesan butter glaze. I've always loved grilled lamb with garlic and rosemary. I've also always loved shish kebabs. To combine these favorites, I thought I'd try making skewered lamb and vegetables with the the flavors of garlic and rosemary, along with mint and lemon. Grilled chicken, bacon, tomatoes, corn, and hearts of romaine tossed together with a delicious buttermilk blue cheese dressing. 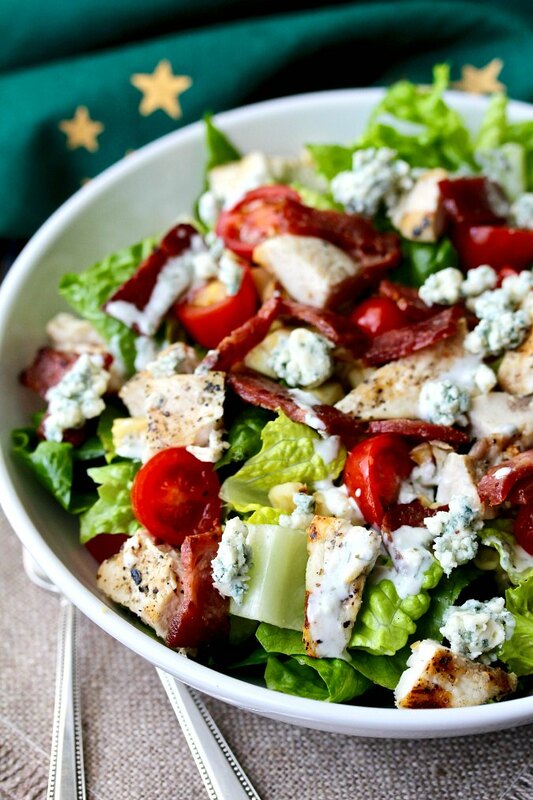 I loved this grilled chicken chopped salad with bacon and blue cheese. It takes just about 30 minutes from start to finish to make. Possibly because the chicken is thinly sliced before grilling, it's not dried out, and the char adds a wonderful dimension of flavor. Before it's grilled, the chicken is rubbed with a garlic paste. It's about the tastiest boneless skinless chicken breast I've ever had. You must try these grilled scallop kebabs and duck bacon with a finishing glaze of soy and oyster sauce served with grilled vegetable kebabs of corn, zucchini, and red onions. 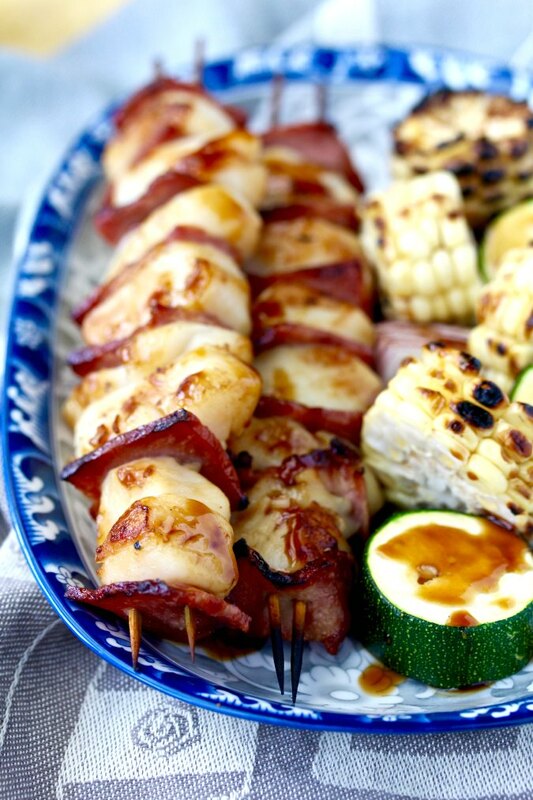 These grilled scallop kebabs with duck bacon are so sweet and succulent. Duck bacon you ask? Oh my yes! Grilled crostini topped with four different toppings after toasting on the grill. 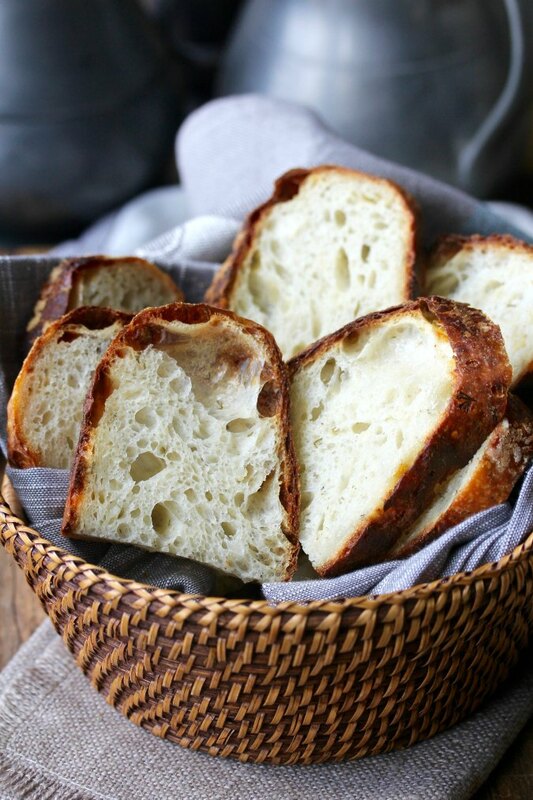 This is fabulous as an appetizer or bread course for an outdoor party. 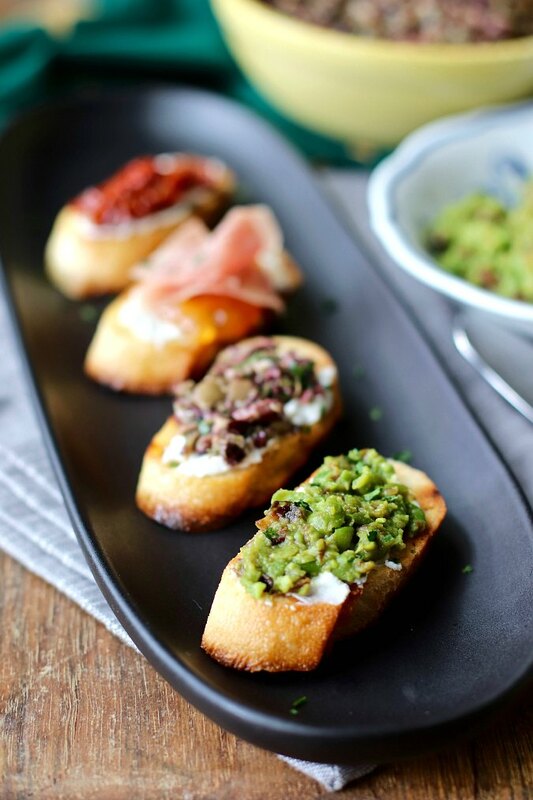 These grilled crostini have something for everyone. Two of the toppings require putting together a few ingredients, but they can be prepared in advance. The other two toppings require very little preparation, and help round out your appetizer platter. Chile and raspberry muffins: Roasted Anaheim chiles and fresh raspberries in a buttermilk muffin. 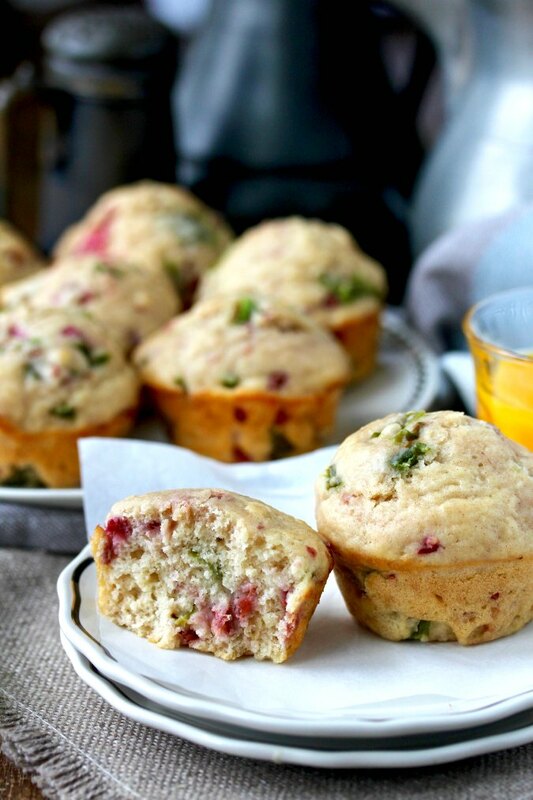 These chile and raspberry muffins with roasted Anaheim chiles were such a delicious surprise. The combination of the fresh raspberries and the roasted chilies is unexpectedly delicious. Yang Chow Fried Rice, also known as Yangzhou fried rice, is a traditional dish from the Chinese province of the same name. It is often served at the end of a banquet. 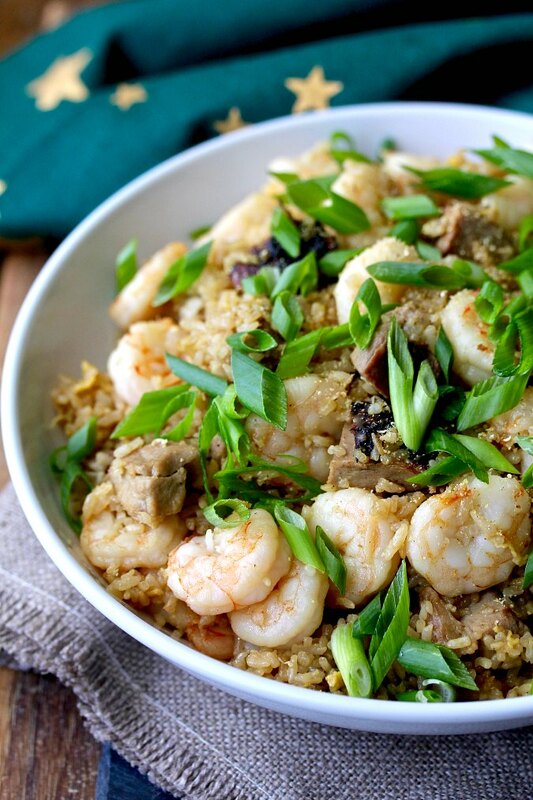 This Yang Chow fried rice is a little different than this really simple version with just rice, ham, and shrimp. It's still a simple dish, in that there are not a lot of hard to find ingredients, but this version includes a cool "gold-covered silver" technique for stir-frying the rice, where the rice is coated with egg with a circular stirring technique. This makes the rice super light and fluffy. Check out the recipe for the method. Cod poached in a saffron broth with chorizo and potatoes is an easy one-pan dinner that is ready in an hour. 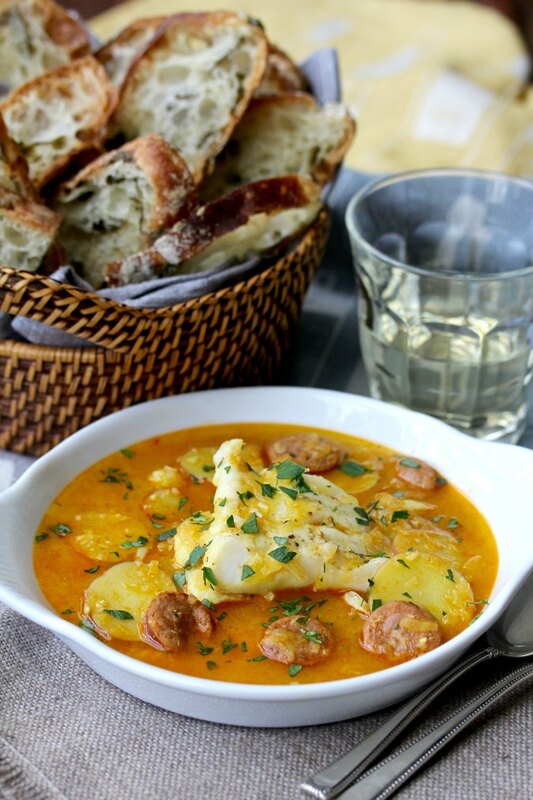 This cod in saffron broth with Spanish-style chorizo and potatoes is loaded with delicious flavors. The mild fish and potatoes are balanced with the spicy sausage, and the saffron broth is both gorgeous and delicious. Jalapeño Corn Cakes, pancakes made with cornmeal and filled with fresh corn kernels and minced jalapeño. 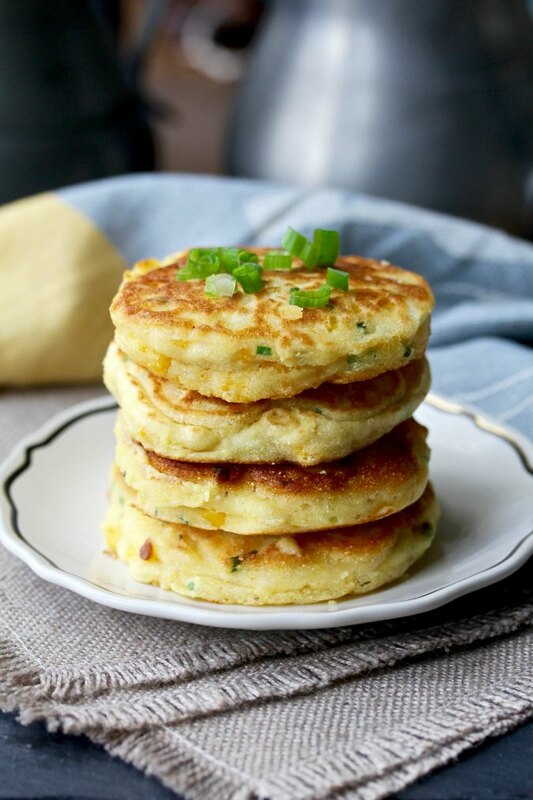 These jalapeño corn cakes, filled with fresh off the cob corn kernels, are so easy to make and take advantage of all of the wonderful fresh corn available this time of the year. 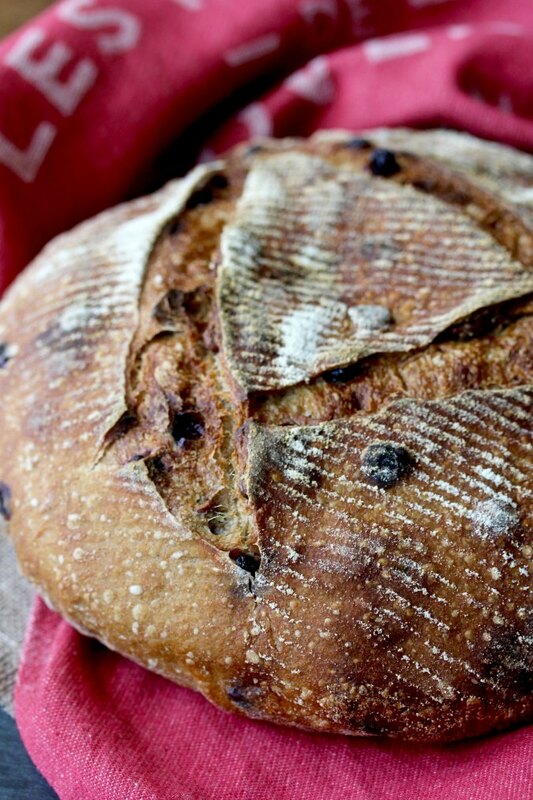 This Pain au Levain, or sourdough bread, is filled with dried blueberries, pecans, and tangelo zest. This recipe for Blueberry, Pecan, and Citrus Zest Pain au Levain takes over two days to make, but most of that time is hands off, and the long slow rise in the refrigerator really develops flavor. Mexican corn chowder with jalapeños, chili, and red and black beans, and topped with Mexican crema, cotija, and cilantro. 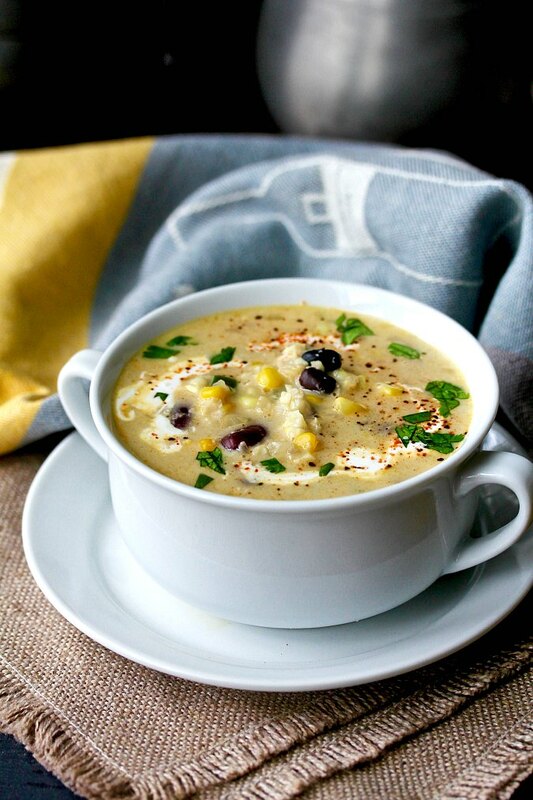 This Mexican-style corn chowder makes the most of the delicious fresh corn available this time of year. 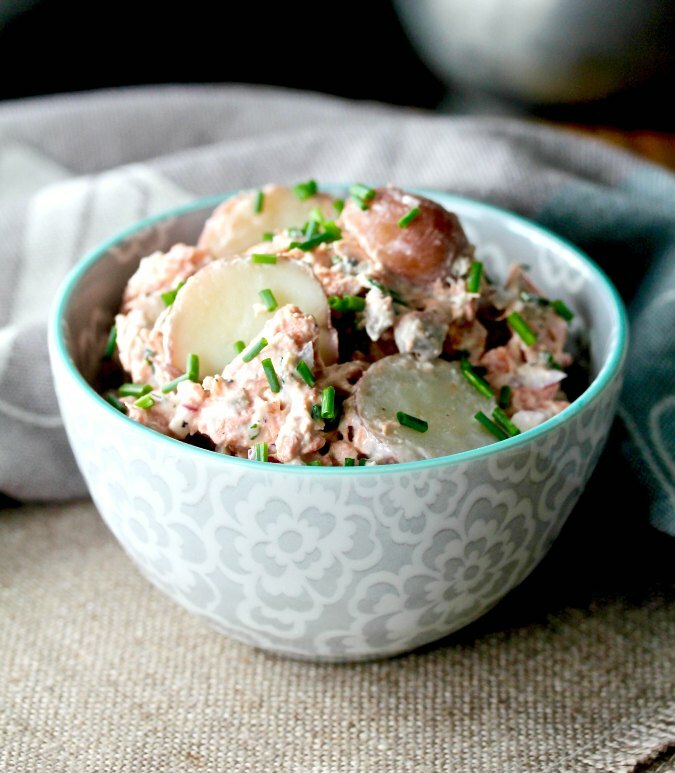 This salmon and potato salad is tossed in a creamy dressing of sour cream, mayonnaise, lemon juice, chive, and horseradish. The salad is fresh and creamy, tossed in a bright and refreshing dressing. The combination of salmon and potatoes reminds me of a Norwegian salmon and potato casserole a friend introduced me to years ago. 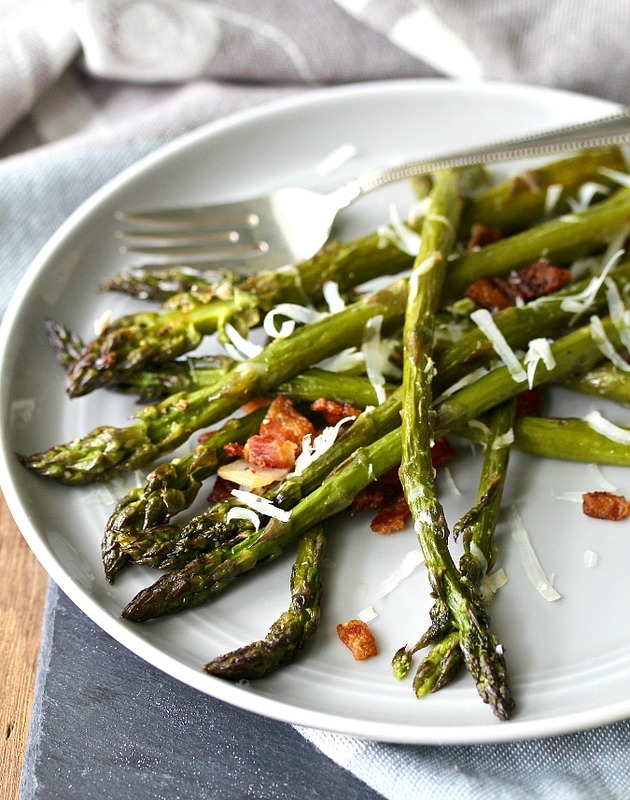 Roasted Asparagus with Bacon. Roasted asparagus. Bacon. 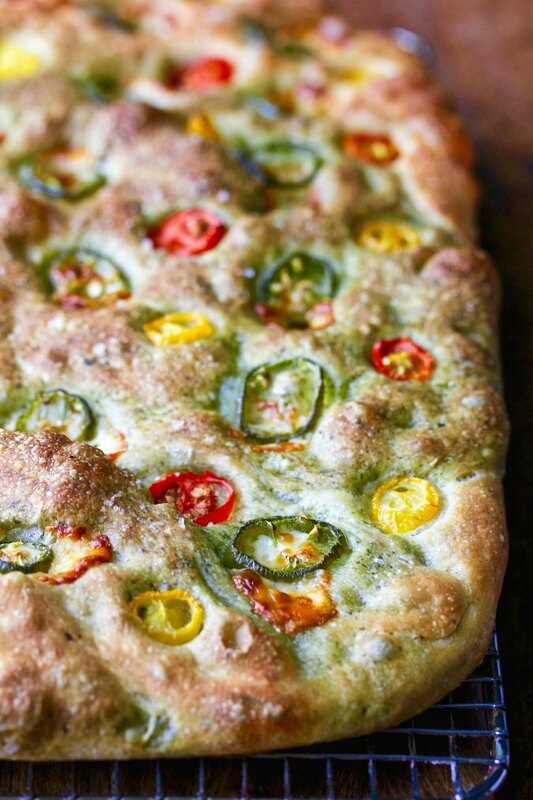 In the world of vegetables, this recipe is pretty spectacular. Spring is the season for asparagus. While you can get asparagus year round, the best, and freshest asparagus from local sources comes in the spring. 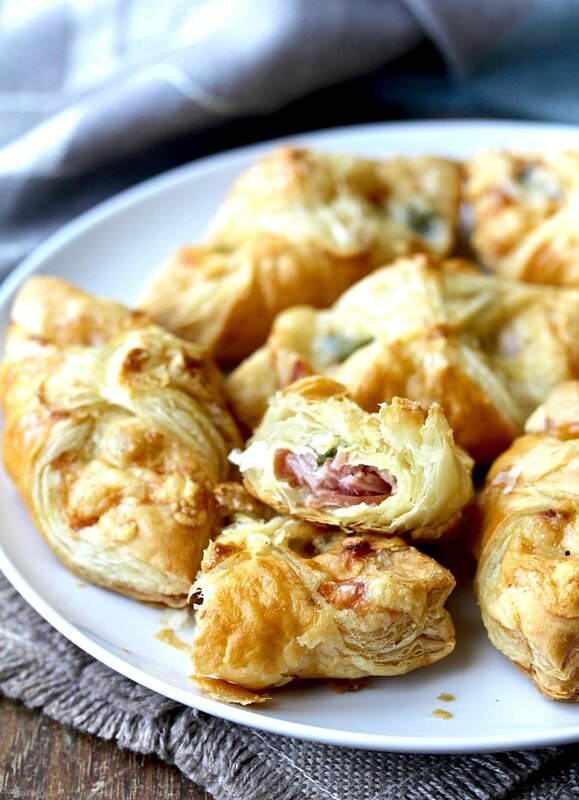 Spinach, ham, and cheese puff pastry bites, a savory and flaky appetizer that doesn't even really need a recipe. These spinach, ham, and cheese puff pastry bites can be assembled in advance and popped into the oven when your guests arrive. They can also be made in advance and reheated. They are so versatile! Shaved asparagus pizza topped with Brie, garlic, Parmigiano-Reggiano, and nearly a pound of asparagus that you have thinly shredded with a vegetable peeler. 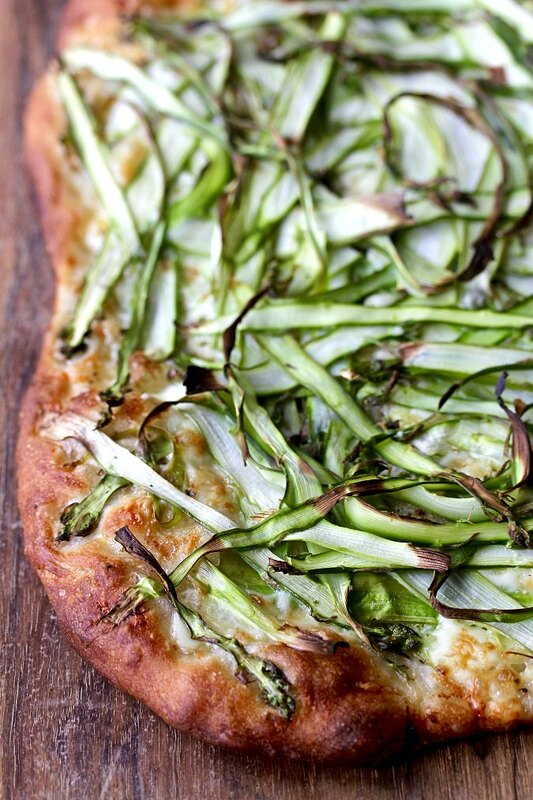 This pizza is topped with a lot of asparagus, to the point where you will question whether there is just too much. You'll discover that the shaved asparagus shrinks down and becomes sweet and crispy after roasting until it's "just right." 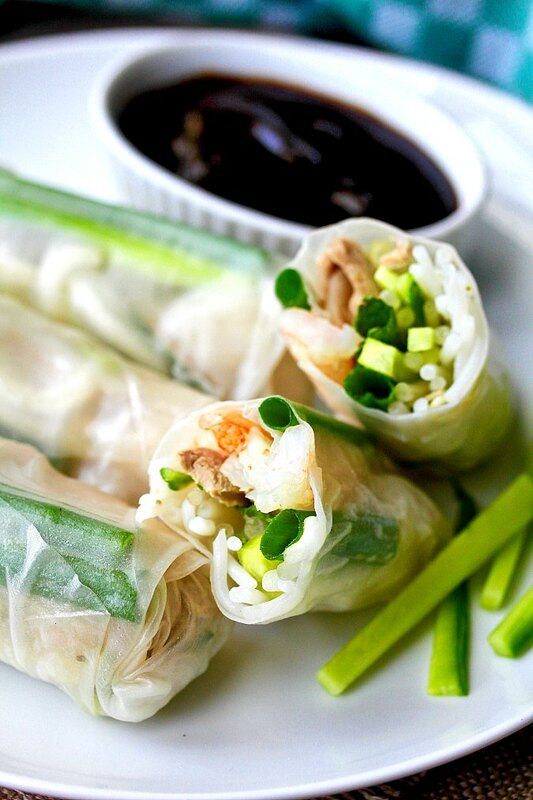 Vietnamese-Style Pork and Shrimp Spring Rolls with Cucumber and Mint: a take on the fresh and flavorful rolls made of rice paper filled with a protein, rice noodles. herbs, and vegetables. These Vietnamese-Style Pork and Shrimp Spring Rolls with Cucumber and Mint are so light and flavorful. They are like little burritos but without the calories. They are typically made of thin rice paper wrapped around a packet of rice vermicelli, some sprouts, a protein, raw vegetables, and herbs such as basil, mint, and cilantro.